France is dancing on a volcano. In a few days, at the end of the mobilizations on Saturday and the first rallies of the Yellow Vests, we will know if it can avoid an explosion. For the time being we should feel uneasy. [French President] Emmanuel Macron’s speech on energy policy did not achieve its goals. Support for the Yellow Vests among the French people did not wane, and none of the anger that accumulated over the past few weeks was alleviated. But this sudden change of the situation, far from being out of the blue, is the product of deep contradictions that have been accumulating in recent years. For that reason, they are difficult to solve. Contrary to most analyses from the left, we had anticipated that “Macronisme” would be a weak form of Bonapartism. The image of “Jupiterian” power that Macron tried to project was not a result of intrinsic strength but, paradoxically, a reflection of the organic crisis of French capitalism. To fully adapt to neoliberal globalization, it had to tear down the entire old political system, leaving a momentary vacuum that Macron knew how to fill. Even before the summer holidays, despite the defeat of the railway workers’ strike (who showed a great determination, which was squandered by the trade union leaders), we pointed out the president’s loss of influence and political capital among sectors of the population that, up until then, had at least tolerated him. This gradual loss of legitimacy advanced by leaps and bounds with the Benalla affair [Macron’s deputy chief of staff beat up a protester on May 1] and then again with the resignation of two state ministers and central figures of the government: Nicolas Hulot, who protected the executive’s left flank with ecological and “civil society” issues, and Gérad Collomb, the mayor of Lyon, who had been among the first supporters of Macron. The latter’s departure is a symptom of the provincial bourgeoisie’s abandonment of Macron. As Macron’s support collapsed and his social base shrunk, we diagnosed in September that we were in “a new situation different from the non-revolutionary situation that characterized the first part of his mandate… a transitional situation in which breaches are opening at the top which could allow the anger of the mass movement to enter the scene, opening a pre-revolutionary situation.” This prediction is confirmed by the political and social tsunami implied by the spontaneous uprising of the Yellow Vests . This is precisely what we are witnessing today, not only in the empty sermonizing of the media and their “opinion makes,” but centrally in the fate of Macron himself: The president is now rejected by about 80% of the population. This is a real achievement for a man whose only power or “legitimacy” was based on overcoming the traditional parties’ crisis of representation—with the aggravating factor that the same 80% of the population supports a spontaneous movement that chants for the resignation of the president while erecting barricades in the heart of Paris. The crisis of hegemony is thus expressed in the fact that certain classes no longer see themselves represented in state life. They separate themselves from the existing leaders, but at the same time they are not yet able to impose themselves as new hegemonic classes. This is the general framework in which the Yellow Vests movement has emerged. The spark that ignited the movement was an increase in fuel taxes, but it has now evolved into a broad people’s movement. 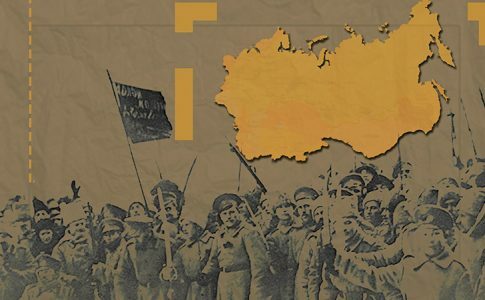 Despite its heterogeneity, it is radicalizing and today challenges the government’s entire policy, and even some aspects of the regime of the Fifth Republic. 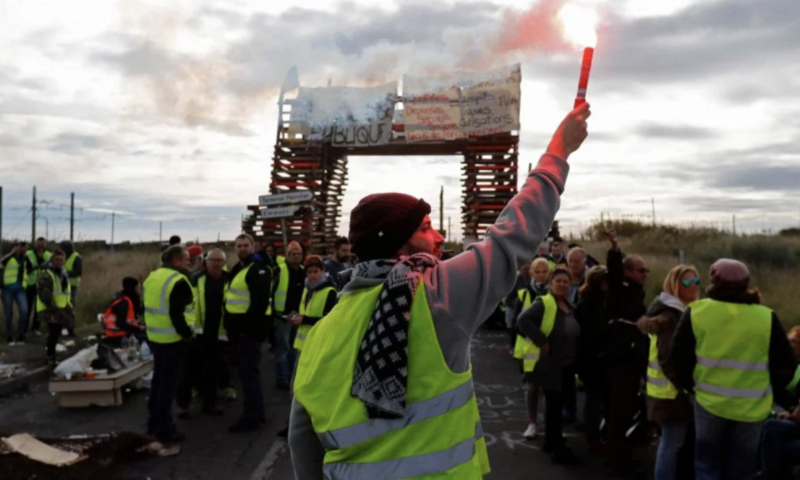 The most subversive element of the Yellow Vests uprising are its radical methods as well as the open expression of suffering, which resonates far beyond the movement itself. 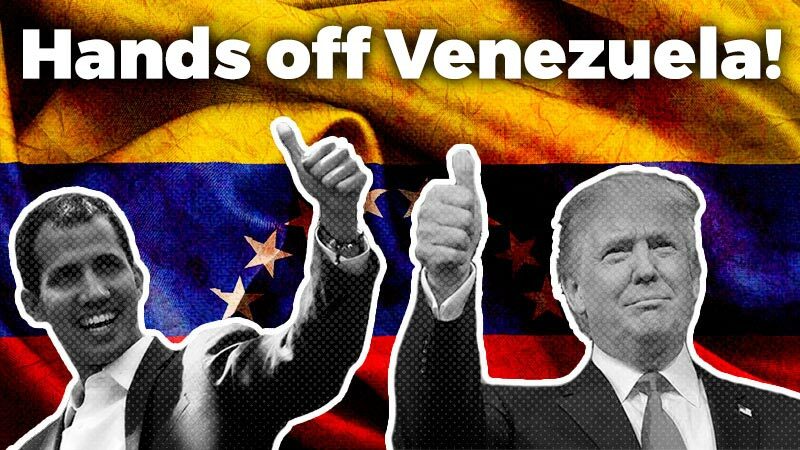 This is expressed in the broad support of the population, which continued to grow after the “scenes of violence” on November 24—the government was counting on this to turn the population against the movement. 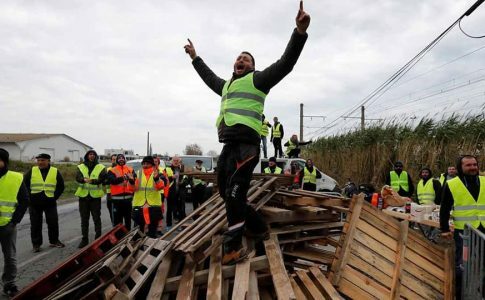 For the first time in a long while in France, protesters set up roadblocks, without consulting the government, the unions, or the left-wing and extreme right-wing parties. This subversive attitude becomes clear when compared to the typical domestication on display at the routine actions of the trade unions and the left-wing parties. On November 24, a march was held on the Champs Elysées, even though the demonstration had been banned. A new milestone was reached with the “revolutionary day” on December 1, which shook Paris and many other cities, during which the executive was unable to maintain order. Once the images have calmed down, the feeling of a dangerous impasse can settle in. The Yellow Vests have already become a symbol. And the majority of the French people are convinced they are heard by this symbol better than by Mr. Macron. What strikes me about the movement of the Yellow Vests is the diversity of their profiles and especially the large number of women, because in the past the job of spokesperson was generally reserved for men. The ease with which people’s leaders today express themselves in front of the cameras is the result of a dual democratization: The increase in the level of education and the penetration of audiovisual communication technology in all layers of society. This competency is completely denied by the elites. This reinforces the feeling of contempt in the minds of the people. This dull anguish felt by a growing number of French people, based on the conviction that no one is safe, that each and every person is at risk of losing their job at any time, their salary, their privileges, in a word, their status. Crises, by making this threat more tangible, bring this anxiety to a paroxysm. This interclass social base includes a great majority of working people, many of whom do not see themselves as proletarians as a result of the labor movement’s regression in terms of organization and consciousness, compounded by the trade unions’ conciliatory attitude to the regime. It also includes self-employed workers and sectors of the ruined middle classes with typical petit bourgeois characteristics. Thus the movement has heterogeneous social demands, which range from clearly progressive demands such as an increase in the minimum wage and the cancellation of some indirect taxes, to more ambiguous ones, such as the reduction of employers’ taxes. The democratic aspirations expressed by the Yellow Vests are absolutely progressive. They contain a radical criticism of the delegation of power and a deep mistrust of its practice. For example, it is completely new that the two delegations of the Yellow Vests who met the ecology minister and the prime minister (an expression of the government’s weakness in its attempts to defuse the anger) have demanded that the negotiations be streamed via Facebook. The list of demands also includes the abolition of the Senate and paying elected officials a median salary. This is a manifestation of deep distrust of the constituted bodies and an aspiration that the law should be the same for all. People’s mistrust of parliamentary politics has been a constant in our contemporary history. The desire of the “Yellow Vests” to avoid any political cooptation of their movement is a continuation of a recurrent criticism of the dominant conception of citizenship. The bourgeoisie has always favored the delegation of power: “Vote for us and we will take care of everything.” However, from the beginning of the French Revolution, the sans-culottes rejected this dispossession of the people, defending a popular conception of citizenship based on direct action. One of the positive consequences of the new technologies propelled by the internet is that they can reactivate this practice of citizenship, facilitating the direct action of citizens. This radical democratic aspect of the movement leads to a direct collision with the Fifth Republic and its ultra-presidential mechanisms—openly defended by the right, accepted and legitimized by François Mitterrand and the social democrats since 1981, and supported by the extreme right of Le Pen. On this point, the Yellow Vests are not only more advanced than all the bourgeois politicians of the imperialist regime, but unfortunately also more advanced than the extreme left. Either because of its workerism or its trade unionism, the far left does not understand the revolutionary importance of these demands to advance the struggle for workers’ power. The central government was terrified by a consciousness of its weakness. It tried to recall to life the individual influences or the political associations it had destroyed, but they gave no sign, and it saw with surprise that the people it had killed were really dead. 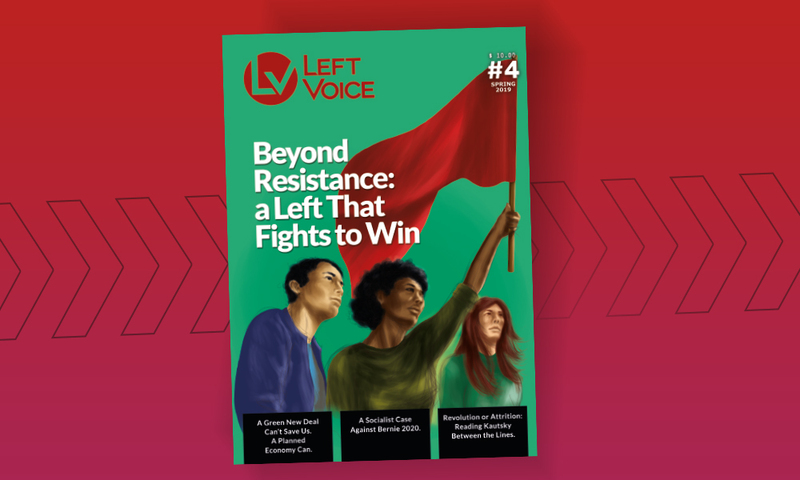 On the other hand, the ultraconservative and hostile reaction by all the trade union leaderships—from the openly collaborationist CFDT with its boss Laurent Berger, to the “combative” CGT and its left-wing appendage SUD—signals their fear of being overtaken by their base, as they refuse to call for a broad political mobilization that would pose the question of power. 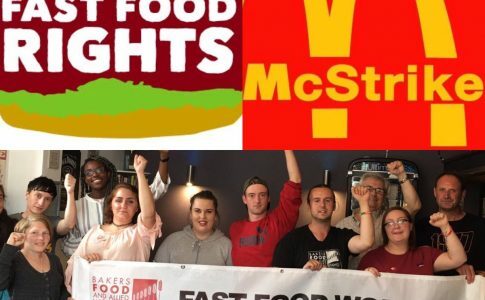 They fear that the anger of millions of employees of small companies, often left behind by the trade unions, could infect the unionized workers who have more experience but for years have been unable to go past their union leaderships (regardless of their combativeness, they lack an alternative strategy). This explains the openly divisive attitude of the CGT leadership toward the movement. What if the anger of the Yellow Vests were to especially question the radical neoliberal transformation imposed by the government? … Does the Yellow Vests movement represent the first step in the constitution of such a bloc? Subject to further study, it seems that the composition of the movement, including the working classes and the “small” middle classes, is adequate. But the constitution of a social bloc requires a political strategy, particularly in its economic dimension. It is the answer to this question which will determine the true nature of the Yellow Vest movement: A reactionary manifestation like the Tea Party in the United States or Pegida in Germany, or the beginning of a convergence of struggles that has been awaited since Nuit debout [a movement of square occupations in 2016]? Victory is not at all the ripe fruit of the proletariat’s “maturity.” Victory is a strategical task. It is necessary to utilize the favorable conditions of a revolutionary crisis in order to mobilize the masses; taking as a starting point the given level of their “maturity” it is necessary to propel them forward. … Equally abstract, pedantic and false is the reference to the “lack of independence” of the peasantry. When and where did our sage ever observe in capitalist society a peasantry with an independent revolutionary program or a capacity for independent revolutionary initiative? … But to rouse the entire mass of the peasantry, the proletariat had to set an example of a decisive uprising against the bourgeoisie and inspire the peasants with faith in the possibility of victory. In the meantime the revolutionary initiative of the proletariat itself was paralyzed at every step by its own organizations. As we have explained in a previous editorial, we defend the perspective of establishing local action committees that include organized and unorganized workers, Yellow Vests, combative students and young people from the poor neighborhoods. Such committees could knock over the conservative obstacle represented by the trade union apparatuses in the hands of the bureaucracy. Every group of the population really participating in the struggle at a given stage, and ready to submit to common discipline, must have the equal right to exert influence on the leadership of the People’s Front. Each two hundred, five hundred or thousand citizens adhering in a given city, district, factory, barrack and village to the People’s Front, in time of fighting actions, elect their representative to the local committee of action. All the participants in the struggle are bound by its discipline. 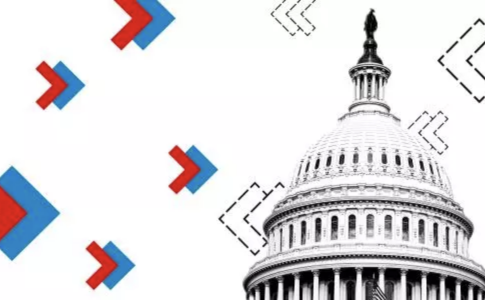 To be sure, in the election of Committees not only workers will be able to participate but also civil service employees, functionaries, war veterans, artisans, small merchants, and small peasants. Thus the Committees of Action are in closest harmony with the tasks of the struggle of the proletariat for influence over the petty bourgeoisie. But they complicate to the extreme the collaboration between the workers’ bureaucracy and the bourgeoisie. A strategic policy like this can allow us to overcome the principal obstacle—the policy of the union leaders—so that the Yellow Vests’ struggle can become generalized among the central sectors of the cities, among the students and the youth of the poor neighborhoods, and fundamentally among the heavy battalions of the proletariat who, thanks to their strategic position, can paralyze production and break the power of Macron and the bourgeoisie. Those who propose shortcuts that bypass the proletariat will never succeed in defeating Macron and the bourgeoisie.So too will those who have already condemned the working class to a museum or who limit themselves to a mere anti-bourgeois bloc (either left-wing or populist) on the electoral plane. Only a strategy of the kind described here can offer a progressive solution to the ongoing crisis. First published in French on Révolution Permanente and in Spanish on La Izquierda Diario on December 2, 2018.